.224 Valkyrie Offers Amazing Stopping Power, Speed & Accuracy. 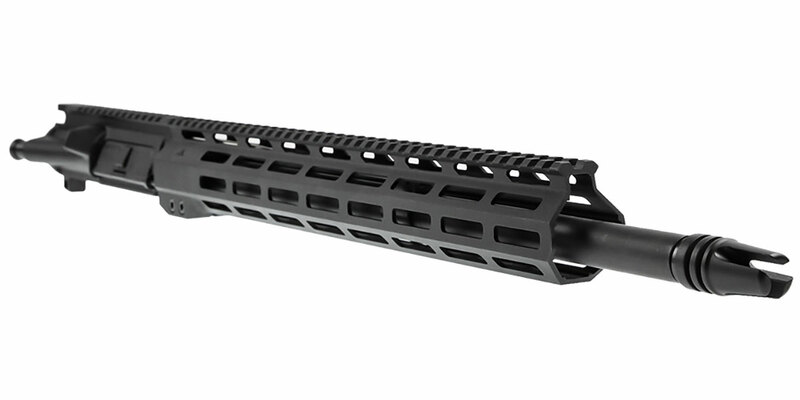 Gorilla Barrel Co. .224 Valkyrie 4150 CMV QPQ Nitride. Cryo Treated & Stress Relieved Preventing Thermal Expansion For Exceptional Accuracy & Improved Barrel Life. Built Using Bulldog Brand Honed & Lapped Overmatch Barrel Blanks. Each Blank Is Turned Down To A Straight Competition Taper To Give The Barrel Consistent Thickness Characteristics. 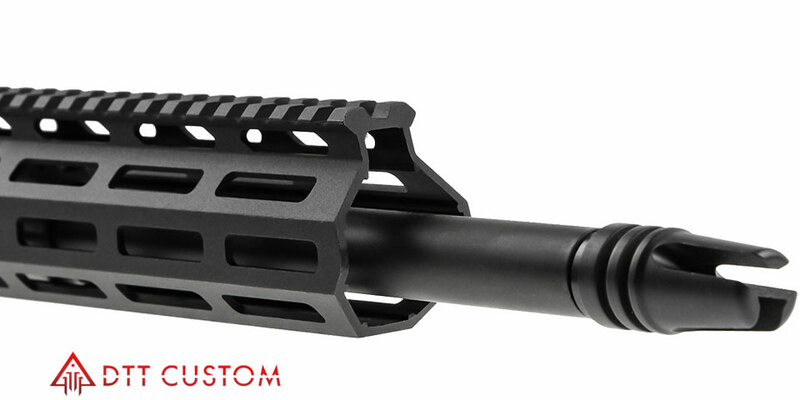 To Give The Barrel More Predictable Heat Expansion Throughout The Length Of The Barrel. Then 11 Deg Target Crowned & Headspaced To Exact SAMMI Spec’s. In Testing .40-.59 Group Sizes Were Achieved On Average Using Match Ammunition With No Tested Barrel Shooting Less Than .59 Of An Inch And The Best Groups As Low As .40 Of An Inch In Consistent Multi-Group Firing Averages For That Barrel. Well Below The 1” MOA @ 100 Yard Guaranteed Accuracy. The AIM Sports. 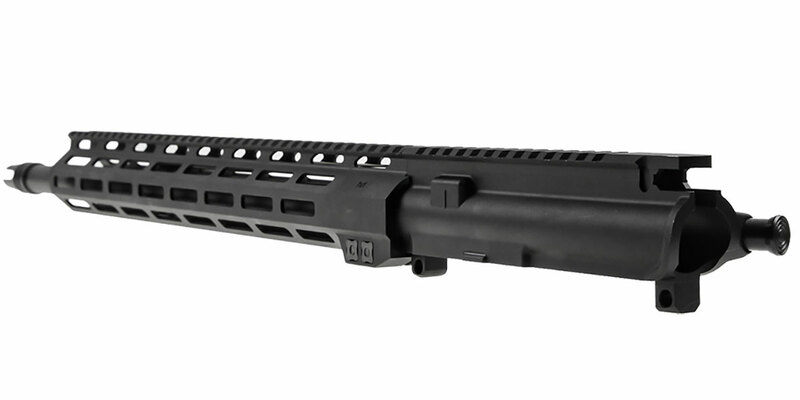 15” Free Float M-Lok Handguard Allows You To Comfortably Grip Your Rifle With Various Shooting Positions & Securely Mount A Variety Of Accessories. Made Of Aircraft Grade 6061 T6 Aluminum. Finished In Type III Mil-Spec Type Anodized Finish. 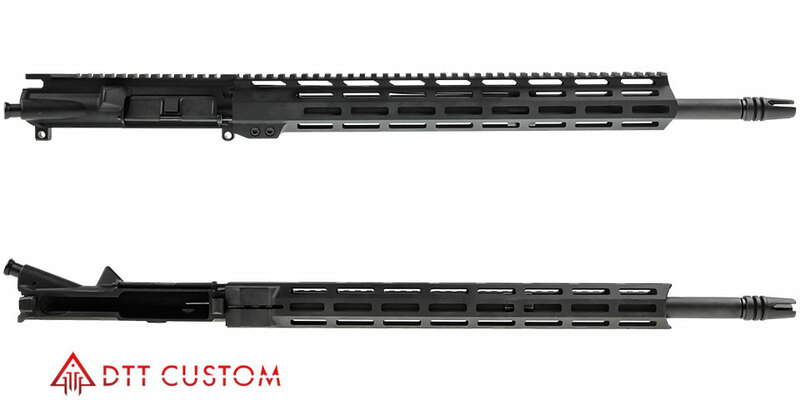 This Build Includes A Vintage Style A1 Three Prong Compensator From Luth-AR. Not Only Will This USA Made Muzzle Device Make Your Upper Look Retro & Cool But It Also Helps Disperse Gases & Reduce Muzzle Lift.